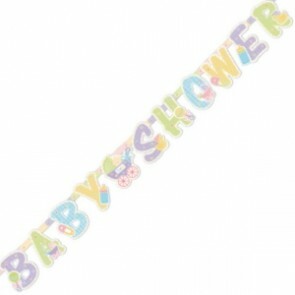 We didn't realise the variety of Baby Shower banners available until we started putting this section together! There is something for everyone here - whatever type of party you're organising. Gorgeous Happi Tree hanging cutouts for decorating your baby shower room. A Giant Banner Happi Tree banner to brighten up the party venue! 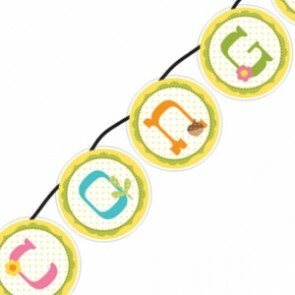 Another lovely Happi Tree decoration - a cute circle shaped ribbon banner. 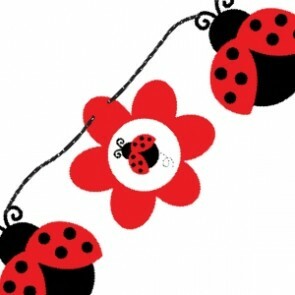 This Ladybird Fancy Ribbon Circle Banner is a great decorating accessory for your ladybug party theme. This is a customisable banner with various extra stickers.